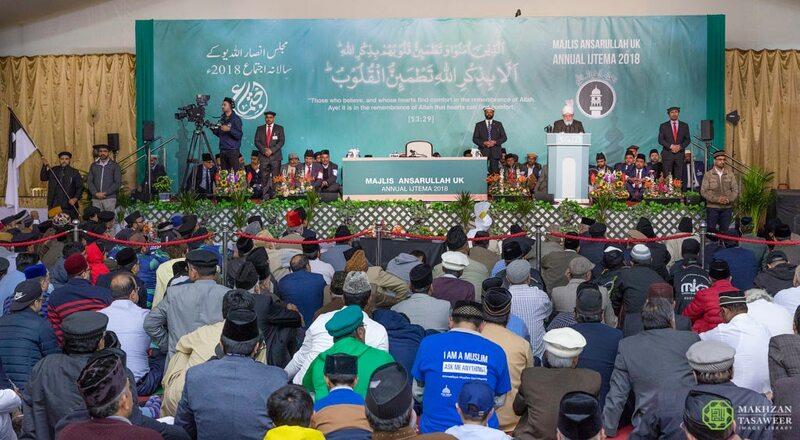 On 30 September 2018, the World Head of the Ahmadiyya Muslim Community, the Fifth Khalifa (Caliph), His Holiness, Hazrat Mirza Masroor Ahmad delivered the concluding address at the 36thNational Ijtema (Annual Gathering) of the Ahmadiyya Muslim Elders Association UK (Majlis Ansarullah). 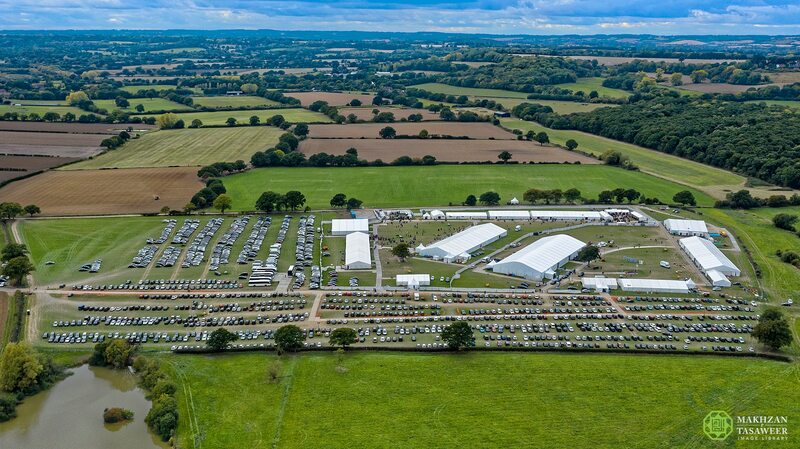 The 3-day event of Majlis Ansarullah, which comprises male members of the Ahmadiyya Muslim Community above the age of 40, was attended by more than 3,900 people from across the UK and was held at the Country Market in Kingsley. 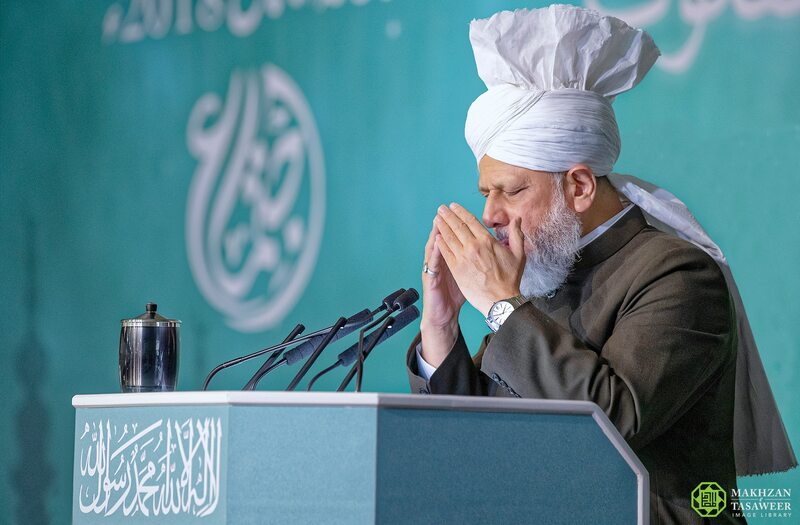 During his address, Hazrat Mirza Masroor Ahmad spoke extensively about the importance of offering the five daily prayers and forming a strong personal relationship with God Almighty. 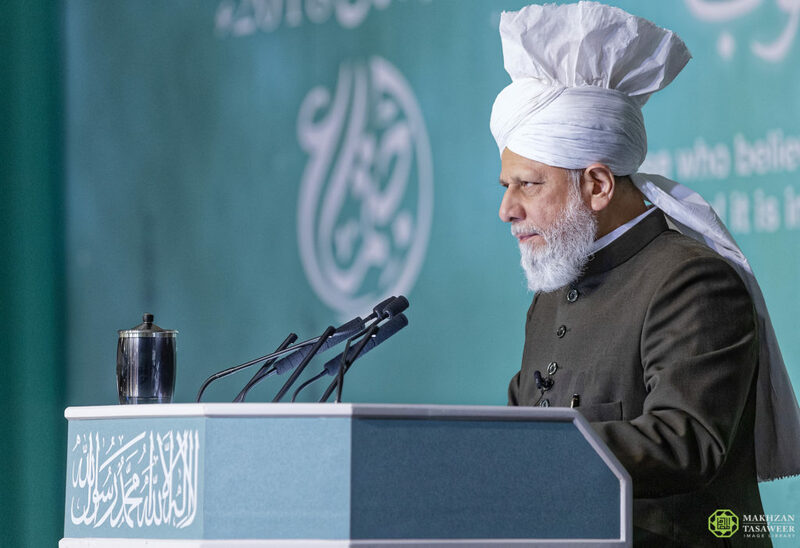 At the onset, His Holiness reminded the attendees that the purpose of human creation, according to the Holy Quran, was to worship God and that the five daily prayers were the best means for Muslims to fulfil this objective. His Holiness also said that the members of Majlis Ansarullah should not only be regular and prompt in offering their own prayers but had the added responsibility of encouraging others as well. His Holiness said that whilst the purpose of human creation is the worship of God, it does not mean a person cannot strive for material success. Rather, true Muslims are those who seek to excel in all aspects of their lives. His Holiness also spoke in response to a common question about prayer, whereby people ask about what benefit prayer offers to God.